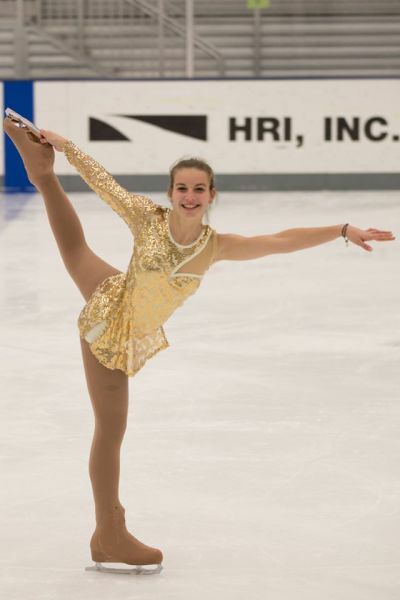 The Abby Yeagley Memorial Fund Selection Committee would like to announce Julia Thompson as this year’s recipient of the Abby Yeagley Memorial Figure Skating Fund Scholarship. Julia exemplified the hard work and good attitude on and off the ice as well as the commitment, passion and sacrifices made to fulfill one’s goals in the sport of figure skating. The Selection Committee believes that Julia's application best matched the Scholarship’s objective and will help her pursue her goals and commitment to figure skating as a member of the Nittany Valley Figure Skating Club. Some years ago the Nittany Valley Figure Skating Club received a financial gift identified as the Abby Yeagley Memorial Fund which is managed and dispersed through Centre Foundation. A committee was established to assist the Board of Directors to develop programs that would effectively “assist with the expenses associated with the development of young figure skaters” as well as support programs for “the good of the club”. Questions may be addressed to any Board Member.